This academy is led by working industry professional George Gabriel. George has an expansive career in music and video production. In his company Gabriel Music, George has scored dozens of television shows, written hundreds of songs and themes for television, and starred and worked as a music director on television. His musical accomplishments include writing the theme for Disney’s 'Kim Possible,' scoring shows such as ‘Baywatch' and 'Dora The Explorer' and currently scores Netflix’s 'Llama Llama'. In his production company ZapZorn Productions, George has produced high end video graphics, corporate videos, national print advertising, produced infomercials and national television commercials. George is also a performer and has extensive live experience in television from acting on 65 episodes as ‘G’ on The Hub’s show Pictureka! to touring 5 years with 70’s Band Pablo Cruise playing alongside bands like Journey, The Beach Boys and The Doobie Brothers. George also has a sample library company and successful e-commerce business ZapZorn Composer Tools. All of his experience in audio production, television and film, marketing and live sound coupled with his desire to encourage students to pursue their dreams in a career in audio culminates into this curriculum of this Academy. The Academy of Audio Production covers every aspect of audio production from the technical aspects of sound engineering, to the artistry of achieving industry standards in sonic excellence, to the marketing and business end of audio production. The Academy covers skills in recording, mixing, live sound, podcasting, music marketing, post-production and many other pivotal aspects of music and audio production. Students taking these courses will understand the concepts in recording and mixing music and sound, understand the physics of sound and its role in recording and mixing, know the job opportunities in audio production and understand the workings of the music and sound business. 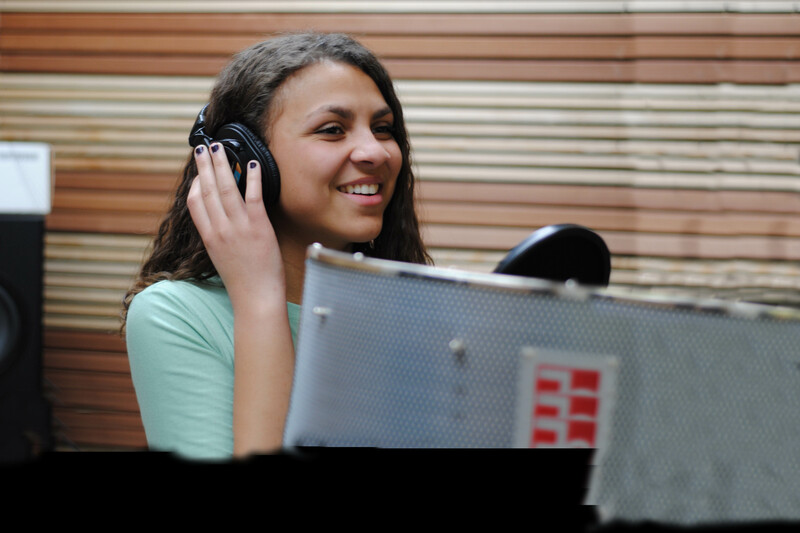 Students will have hands on experience in podcasting, promo creation, recording and mixing live sound, recording and mixing studio sound for music and post-production and many other hands-on aspects of music and sound production. Students who complete all the classes this course will learn everything they need to know to prepare for a career in audio and music production. Intro to Audio and Music Production is a broad overview covering all introductory aspects of audio and music recording. The course explores all the basics in career pathways in audio, the physics of sound, analog vs. digital recording, understanding the functionality of the equipment used in the industry, basic music production and engineering and mixing through DAW integration. This course also includes instruction in audio apps such as Adobe Audition and Logic Pro X. Marketing Music and Sound delves into the marketing end of music and audio production. This course covers the basic to intermediate aspects of marketing music and audio including web-based marketing, promo creation, podcasting, artist marketing, e-commerce, and bolstering individual industry presence. This course also includes instruction in graphics/video/web apps such as Photoshop, Illustrator, WordPress and Apple Motion. *Intro to Audio and Music Production is a required course. Audio for Production and Post-Production explores of all intermediate to advanced aspects of audio for live production and studio-based audio engineering for TV and film. The course teaches the concepts of live sound production of film, theatre, orchestra, and band/artist recording and mixing. This course also explores post-production audio by teaching all aspects of recording, sound designing, mixing and outputting audio for film/tv. This course is project-based and is a hands-on course. This course also includes instruction in audio apps such as Adobe Audition and Avid Pro Tools. **Intro to Audio and Music Production AND Marketing Music and Sound are required courses. Advanced Sound and Music Production is the capstone course in the Academy. This course is part project-based audio production and part music business. This covers advanced aspects of audio production such as, recording, mixing and mastering music and sound, advanced concepts in sound design and foley recording, advanced mixing techniques and advanced preparation of audio for television and film. The course also discusses the business aspects of audio and music including understanding and creating cue sheets, overview of business contracts, music licensing, royalties and residual income and understanding the audio production work environment. This course is designed to be the final refinement process in audio engineering and prepares students to enter the workforce well-equip to start a well-rounded career in the audio production industry. ***Intro to Audio and Music Production AND Marketing Music and Sound AND Audio for Production and Post Production are required courses. Must take the Advanced Sound and Music Production CTE capstone class and complete a senior project.